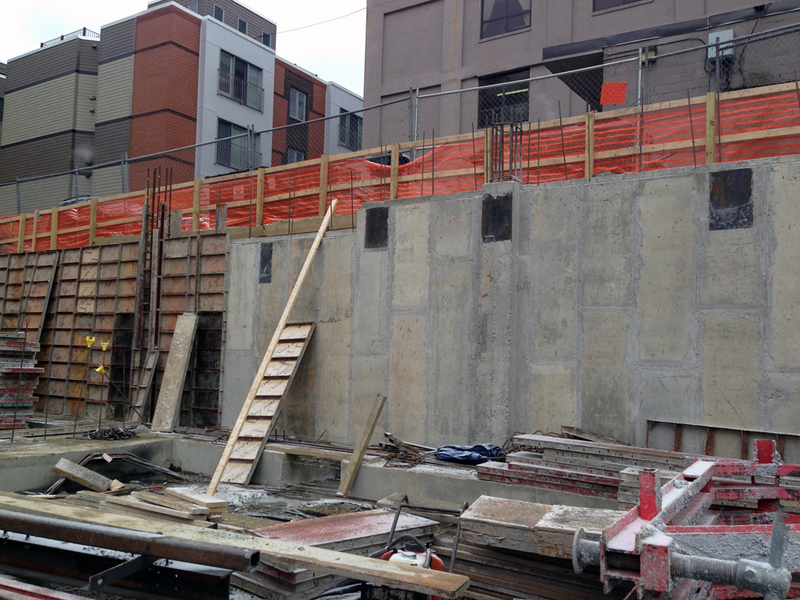 Foundations are nearly complete at 22-26 West Broadway, and construction has begun on the concrete masonry stair and elevator core. 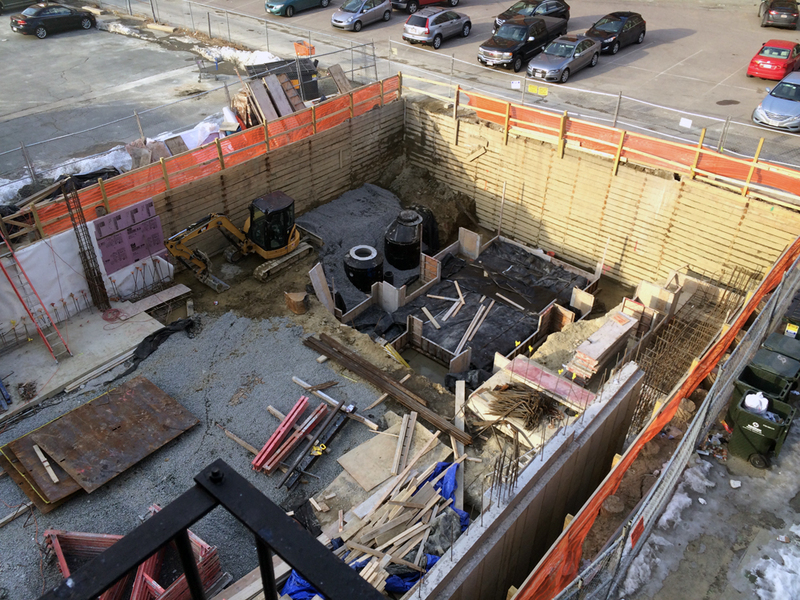 The car elevator pit marks the last step before construction is officially out of the ground. The project incorporates 31 units of housing and 4,000 square feet of commercial space on a lot with only 50 feet of street frontage.